‘Our’, ‘Us’ and ‘We’ refers to Club 4×4 Pty Ltd ABN 41 606 776 274, of PO Box 550, Kotara NSW 2289, Australia. •	whether the information or opinion is recorded in a material form or not. The Privacy Act details Australian Privacy Principles that set minimum standards for how private sector organisations such as Us should collect, use, disclose, store, provide access to and correction of Personal Information. This policy may change from time to time and all changes will be posted on Our websites so please check it periodically. 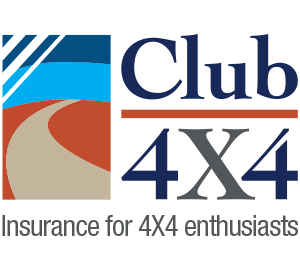 Alternatively, You can email Our privacy officer at privacy@club4x4.com.au or write to PO Box 550, Kotara NSW 2290 and request a copy of Our most recent policy. The Personal Information We collect depends on the products and services We offer You or You use or apply for (and may also require Us to collect Personal Information about other people such as a co-insured, or Your spouse, partner or children). Typically the details We collect and hold include Your name, contact details (address, phone and fax number, email address), date of birth, gender and payment details. We may also collect information that is specific to a particular product. We will only collect ‘Sensitive Information’ where it is relevant to underwriting an insurance policy or dealing with, managing, or processing a claim. We may use or disclose it by giving it to Related Companies and Our appointed third parties for research and analysis and to design, test or underwrite new insurance products or features. Your Sensitive Information will not be used or disclosed for any other purpose unless We have Your permission. If You do not consent to Us collecting, using or disclosing all or some of the Personal Information We request, We may not be able to provide You with Our products or services such as processing Your application for insurance, Your claim or any payment due to You. It may also prevent Us from maintaining or administering Your policy or the provision of information regarding Our products or services or those of any third party. •	any other organisation or person where You have consented to them providing Your Personal Information to Us or consented to Us obtaining Personal Information from them. If You provide Personal Information to Us about another person, We rely on You to have made or make them aware that You will, or may, provide their information to Us and the types of third parties. We may provide it to, the relevant purposes We and any of the third parties will use it for and how they can access it. If it is Sensitive Information We rely on You to have obtained their consent on these matters. If You have not done, or will not do, either of these things, You must tell Us before You provide the relevant Personal Information. Cookies and Our collection of information through Our website. •	where it is necessary for a third party to assist Us in providing Our services, for example, reinsurers, insurance intermediaries, insurance reference bureaus, lawyers, accountants, loss adjusters and others involved in the providing of services or claims handling processes. •	taking reasonable steps to destroy or de-identify Personal Information that We no longer require or which was unsolicited and We identify that We would not have otherwise collected it from You. You may generally access the information We hold about You and request corrections. This right is, subject to the exceptions detailed in the Australian Privacy Principles. •	the information would reveal Our intentions in relation to negotiations in such a way as to prejudice those negotiations. In most cases, You may access Your Personal Information at no cost to You by contacting Our privacy officer at privacy@club4x4.com.auor by writing to PO Box 550, Kotara NSW 2290. For access to complex or Sensitive Information or more detailed requests for access to Your Personal Information, for example, access to information that is archived, We may require You to place Your request in writing and charge You a fee for Our reasonable costs of retrieving and supplying the information to You. If You are not satisfied with Our response to Your enquiry or complaint You can contact the privacy officer and request that it be reviewed by a senior staff member who will endeavour to resolve Your dispute within 30 days. If You are still not satisfied We will tell You about any external dispute resolution avenues which may be available to You.